Posted on January 31, 2019 by Navid Dayzad, Esq. 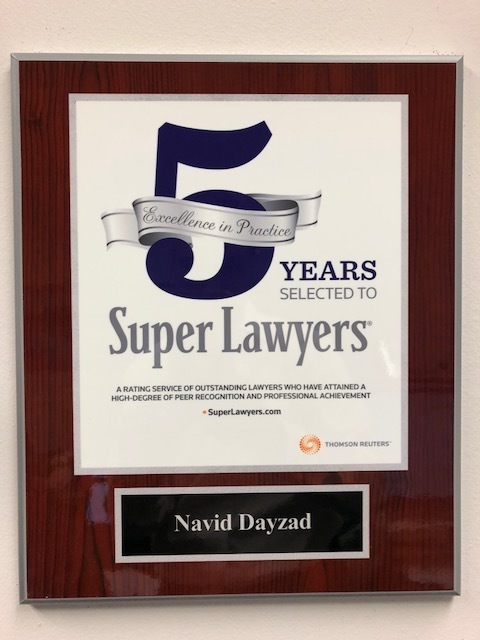 We are pleased to announce that our Managing Attorney, Navid Dayzad, has been selected as a 2019 Super Lawyer in immigration law. This makes 5 years in a row! This honor is reserved for the top 5% of Southern California attorneys and is published in Los Angeles magazine and Thomson Reuters Super Lawyers magazine. This recognition reflects the high level of service that Dayzad Law Offices has provided over the past 14 years and our continued commitment to providing high quality immigration advice to current and future clients.